One of the first designs I did just for fun, when I first started my course. 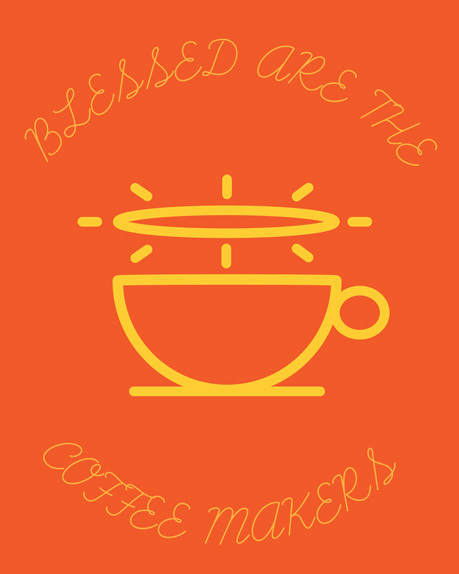 I love coffee plus there’s a line in Monty Python’s Life of Brian, “I think he said blessed are the cheese makers”. I found it funny so I put my own twist on it. Everyone that has their morning cup of coffee should feel blessed to start the day off in such a way. The first photo are my ideas I drew in my A5 notebook and the second is the final background that was made when I first started using Illustrator. 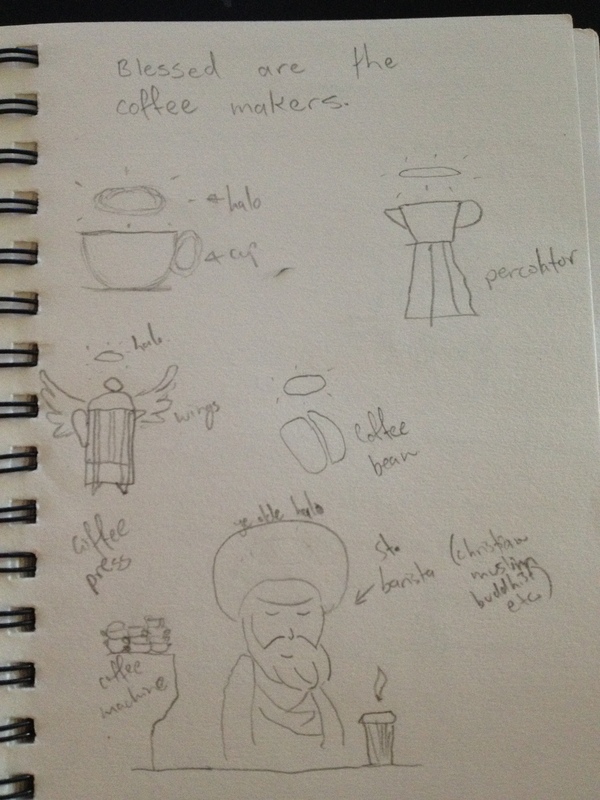 At some stage I may finalize Saint Barista. Feedback welcome. Enjoy!